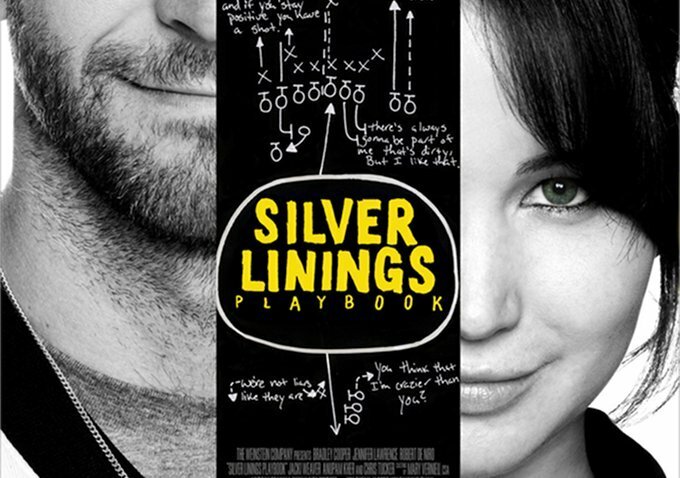 Anyone who has experienced neurotic love in dancing uncertain relationships will instantly relate with David O. Russell’s Silver Linings Playbook. Combine Robert De Niro’s obsession with the Eagles (one of my favorite football teams besides the winning Broncos) with Bradley Cooper’s fascination with being ’positive’ to get his ex back; bring Jennifer Lawrence to the mix and pressure rises; add Alt-J’s Mountain Man Buffalo soundtrack, a few sutro editing affects, the Philadelphia old building accent, an annoying married couple and now this turns into game on realistic drama. The one major unbelievable elephant in the room lies in the entire crux of the plot – ‘the letter’- in which Bradley uses Jennifer to pass on to his ex wife. Who writes letters anymore? (Not to say I wouldn’t love to receive one) but that was the only thing that I realized after watching the movie that seemed a bit ‘off’ in our digital age of emailing, blogging, texting, facebooking, tweeting – you name it! Either way, I forgot this while in the moment of watching the film and was totally mesmerized by Bradley Cooper’s eyes, moves and Jennifer Lawrence’s talented vibrant neuroticism. This is a top shelf drama of the year not to be missed.